Contact Dr. Baker if you are interested in inviting her to be a guest for your podcast, show or event. 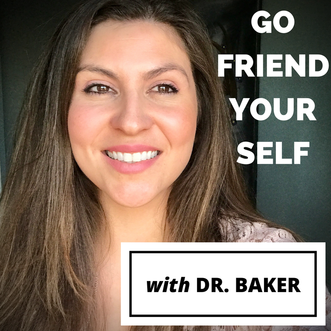 Dr. Baker is the creator and host of the Go Friend Your Self podcast. She was a guest on the Discover Your Talent Do What You Love podcast in May, 2018: "Overcoming Blocks to Being Your Own Best Friend." Click here to listen. She was interviewed on the Beyond Your Past Podcast in November, 2017: Self-Acceptance and Self-Love with Dr. Baker. Hear it here. Dr. Baker was interviewed for Breathe Motivation Podcast in October, 2017. Click here to listen to the Podcast interview. She has also appeared as a guest on Huffington Post Life on several occasions discussing pop culture in psychology on September 9th, 2013 and PTSD on March 1st, 2013 as well as May 29th, 2013.